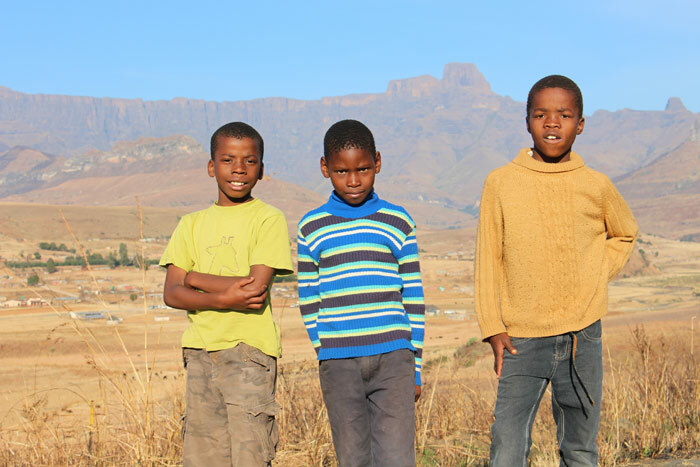 In this edition of the SA parkrun newsletter, we hear how parkrunners get involved in Mandela day to help those less fortunate in the surrounding community. This weekend sees the launch of the first parkrun in Soweto and we visit the launch of Durbanville parkrun on a wine estate. Last Saturday morning (18th) even parkrun had to take a back seat to Mandela Day as the Nation celebrated the life of its greatest citizen. It was good to see that several South African parkruns celebrated Mandela’s birthday and that the great leader was mentioned at every South African parkrun. I have a feeling that Madiba would have been a parkrun fan if he had lived long enough to see its positive influence in the country and to see how it has spread and grown. This week parkrun reached the very significant milestone of a quarter of a million registered parkrunners and the sky appears to be the limit. This time a year ago we were 100000 strong. We can only guess what the numbers will look like in another 12 months. The popularity of parkrun is a tribute to our sponsors and supporters who believed in us when we were still in our infancy and to our hundreds of enthusiastic volunteers who give up their time every Saturday morning to make parkrun happen. One consequence of the size of parkrun in South Africa is that statistically there have to be some accidents and regrettably even some deaths and so it is with great sadness that we learnt that Maxwell Bosman died at Hartenbos parkrun the Saturday before last. Our heartfelt sympathies go to his family and friends. The parkrun community is devastated. 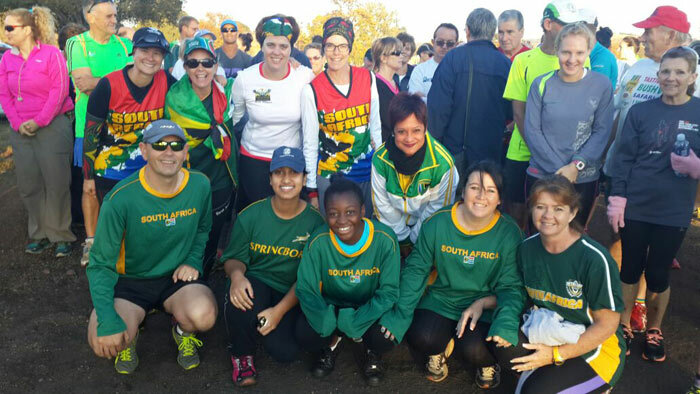 The Cape celebrated Mandela’s birthday by launching a parkrun in Durbanville in the Meerendal wine estate on the 18th. Strong winds and rain had buffeted the Cape Peninsula the day before but launch morning dawned bright and dry and sunny. About 150 parkrunners ran the inaugural run through the vineyards in the shadow of the Hottentots Hollands Mountains. 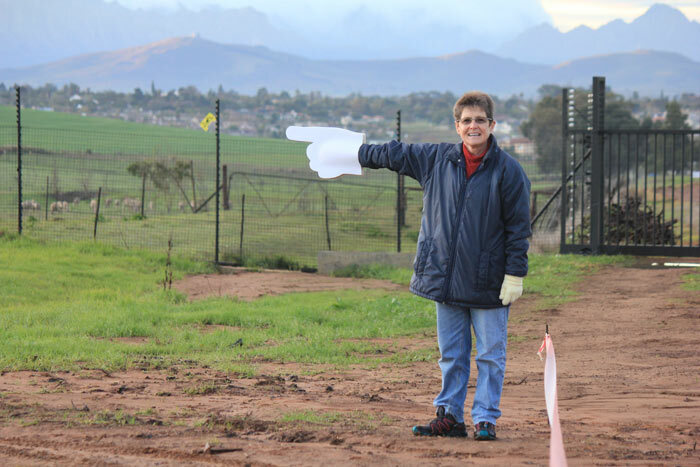 Meerendal has long been associated with cycling, particularly mountain biking but now Jan Brown and her team have taken the plunge and welcomed parkrun to the estate. There is so much happening at all our parkruns each Saturday that I am often overcome with FOMO wishing I could be at each one. 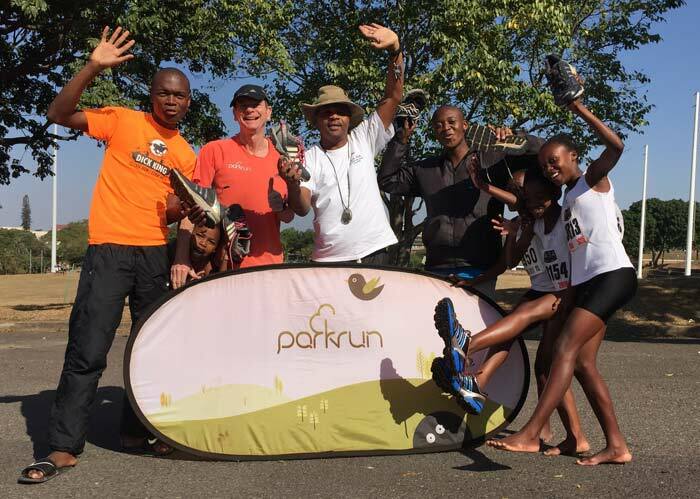 Greenpoint, Amanzimtoti and Piggly Wiggly parkruns recently celebrated birthdays and this week Dusi parkrun will celebrate its second birthday. "Mofolo Park with the weeping willow trees! Soweto our roots, our solace! 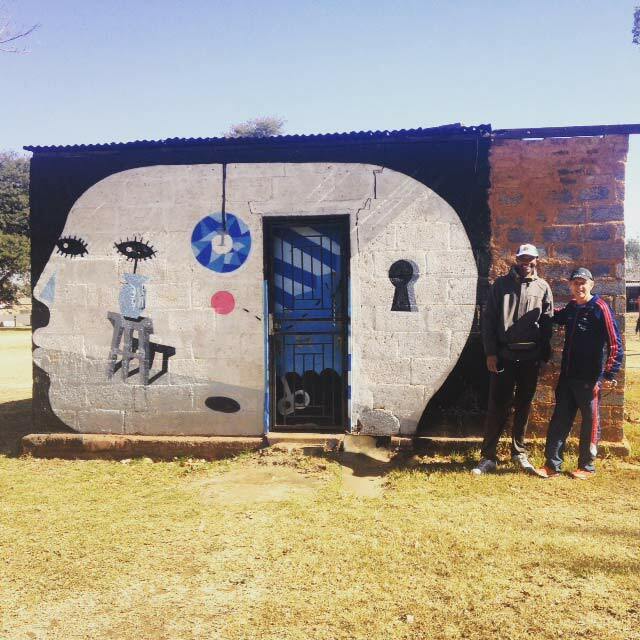 Soweto, the bug that has bitten the world to never come to Joburg without stepping on its sacred grounds to pay respect to its vibrant pulse of a nation with history of pain but still able to laugh, sing, jive, love and play! Mofolo parkrun is another window to see the beauty of this place longing for its people to love it, embrace it and enshrine it for generations to come! Pula! Khotso! Nala!" We say goodbye and thanks to David Ashworth who has tirelessly compiled and edited the newsletter for the past three years. We welcome Daniel Miles who will be taking over from August. Daniel hails from Botanical Garden parkrun. Not sure how to link your Discovery membership to your parkrun profile? Go to any parkrun results email or newsletter you’ve received, click on “Manage my profile” and then click on Discovery. You can also use this step-by-step guide to help you. We know that as parkrunners, your health is very important to you. Join us at this year’s Discovery Vitality summit and get all the latest information on fitness, nutrition, technology, health and wellness. Our exciting line-up includes Eric Friedman, Chief Technology Officer and Co-Founder of Fitbit and other amazing speakers. Vitality members get a 25% discount by simply using their ID number when they book their ticket. Go to Vitality Summit for updates on speakers and other important details. Get to Italy in 10 000 steps! Imagine yourself ambling about the picturesque Cinque Terre village in Italy. Sound amazing? Well, it’s easy to get there – all you have to do is walk, just like you do every week at parkrun! Anyone with a Discovery product stands the chance to win the trip of a lifetime – a memorable week-long walking tour in Italy for four – simply by walking more than 10 000 steps in a day. Here’s how. Running is one step harder than walking. Running is the most democratic of all activities known to man: we can all choose to do it when we want to, where we want to and how we want to. Running is done in isolation, in crowds of tens of thousands, at Olympic level as a profession, or pre-school level in the playground. Running is a gift we have all been given – all it requires of us is shorts, shirts, shoes and no excuses. Running is you and it is me, it is comradery and competition against oneself and the clock. So don’t stand on the pavement watching 1000s of Capetonians running through the streets of Cape Town – join the fun and run. Whether you are an elite athlete like last year’s winners Stephen Mokoka and Lebogang Phalula running world class times, or running your first 10km – experience the thrill and atmosphere of running (or walking) this fast, flat course alongside the ocean and in the shadow of Table Mountain. - There are more than 8 weeks left and you can do it! - The Sanlam Cape Town Marathon event includes a 10 km Peace Run with a 2 hour cut off time! #ChallengeYourself and ENTER! #ChallengeYourfriend 2RunwithU! The latest edition of our Media Partner, Modern Athlete Magazine is available online now! Subscribe to Modern Athlete here. Below is a photo from a "parkrun shoe handover" that took place during the running of a KZN AA cross-country league meeting. The recipients, seen here with their coach Jeff Mkhize, are from the Koinonia Athletic Club, located at Folweni, located near KwaMakutha, south of Durban. I hope to set up another shoe collection at parkrun and hand these shoes, together with the boxed adidas shoes, over at another cross-country event later this month. Thank you to those who have made this happen! For the second year in a row parkrun Poland has been nominated for the Best Polish Running Event Award. Last year votes from our fellow parkrunners in Poland got them to a respectable fourth place but this year they are looking to steal the crown. 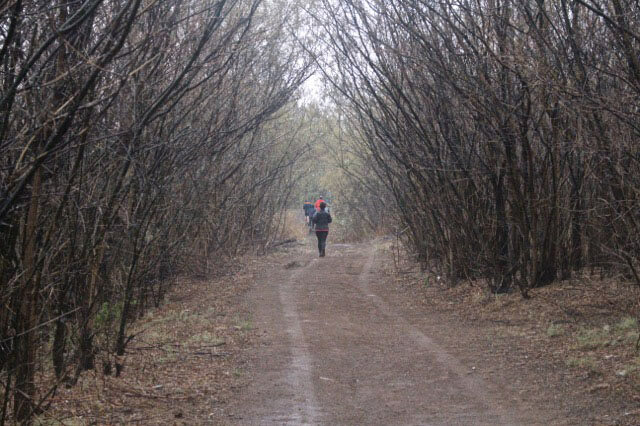 parkrun Poland was established in 2011 and there are now 24 events and nearly 30,000 registered parkrunners. Some of you have already visited Poland and enjoyed parkrunning on one of these great course. By winning the title parkrun Poland wishes to recognise its value and thank all of their volunteers for making it happen! Help our parkrun family in Poland make their dream come true and become the best running event in the country in 2015! 5. You will then get message “Dziękujemy za oddanie glosu. Zgłoszenie zostało wysłane. Sprawdź pocztę aby dokonać potwierdzenia linkiem aktywacyjnym.” This means “Thank you for voting. The report has been sent. 6. The final step is to click the confirmation link in the email you will receive. * FYI, the data protection act in Poland is one of the strictest in Europe so you can feel safe providing your email / phone number to this website. In this edition of the SA parkrun newsletter, we hear how Prince Albert parkrunners dedicate a parkrun event to a shark attack survivor. We highlight consideration towards fellow parkrunners and Ebotse tells us about their third anniversary celebrations! It might be winter in South Africa but there have been some “hot” times run at parkrun and some exciting new developments. We paid Cannibal Cave a second visit last Saturday. It is wonderful to see how this parkrun has developed under the direction of Musi and Lizzy Mabaso. There can be very few parkruns that are run in such a breathtaking setting. 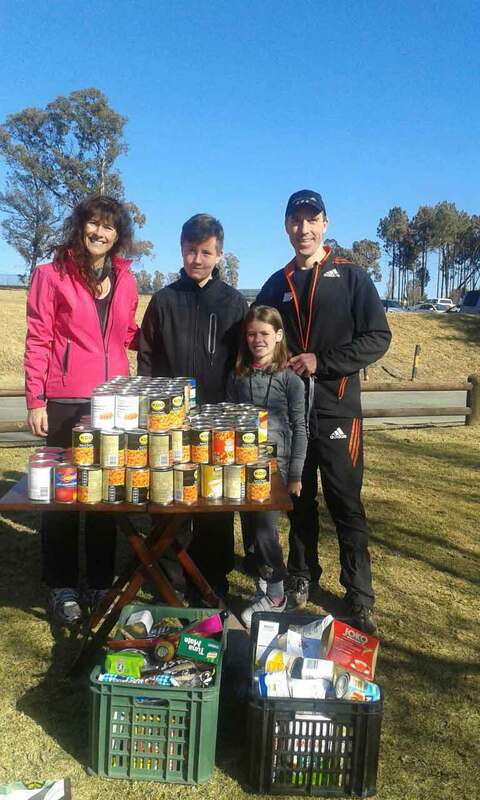 Last month we welcomed Aliwal North parkrun to the parkrun family. Linda Whittal and her team have been patiently waiting to get started for many months now and the big day finally arrived on the 27th June. The course is beautifully laid out and starts at the Aliwal North Athletics club clubhouse. The highlight of the run must be the kilometre stretch on a cleared track through thick bush and trees along the banks of the mighty Orange River. A cold rain was falling as the 50 or so runners and volunteers lined up at the start but the rain soon cleared and stayed away until the last runner had finished. Aliwal North can be truly proud of its beautiful and challenging parkrun and we are sure it will attract many locals and visitors alike. Two new parkruns will be starting in July. 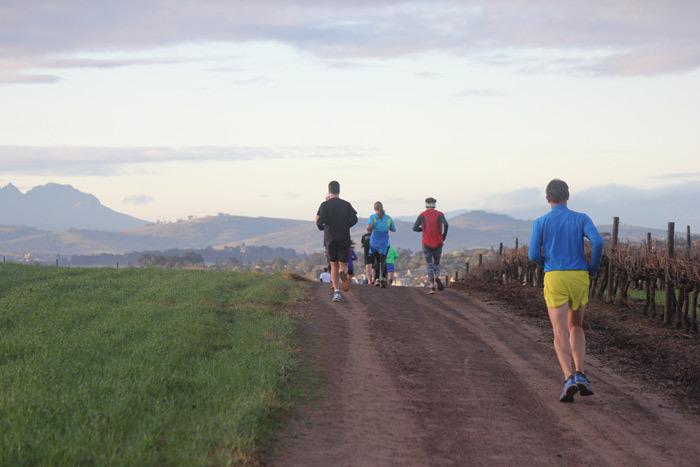 The first is the Durbanville parkrun in the Meerendal wine Estate. This will start on the 18th July. The Estate is famous as a sports venue being the host venue for the famous Cape Epic cycle race. Early registrations are proving that it will be very popular with the local Durbanville population. The second, starting on the 25th July is the long awaited first Soweto parkrun. Boitumelo Mofokeng has been tireless in her efforts to establish a parkrun in Soweto, and after a few false starts, and with the help of Louise Gordon and her team at City Parks the dream is about to become a reality. 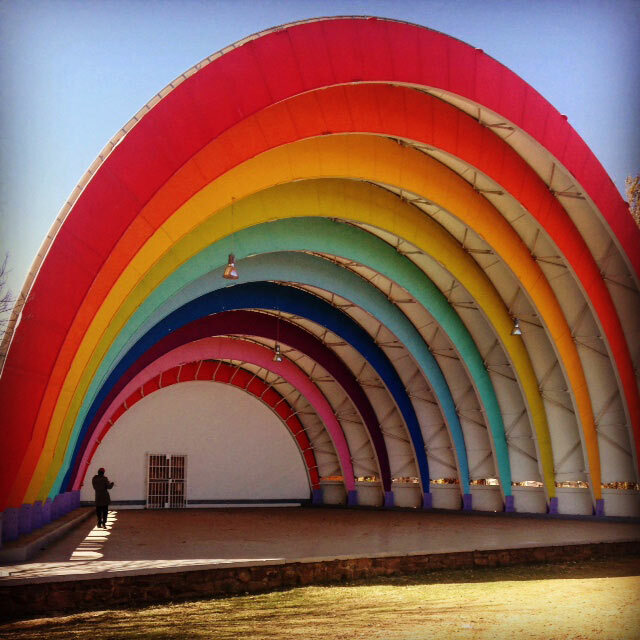 We are certain Mofolo Park will be the first of a number of parkruns in Soweto. 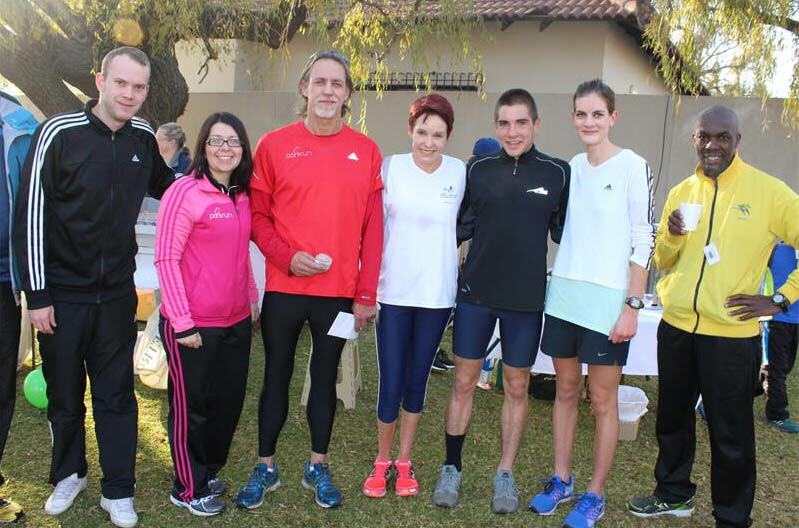 Our parkrunners often distinguish themselves in South African road races so it was exciting to see Polokwane parkrunner Johan van der Merwe excel at the other end of the distance scale. Johan won the prestigious Washie 100 miler from Port Alfred to East London in just over 13 hours last weekend. 100 miles is 32 back to back parkruns with no breaks ! Congratulations Johan . For good measure Johan’s son JJ was first finisher at the Nahoon Point parkrun in East London. He must have dashed off to run while seconding Dad in the Washie. Albert Zikode won a new car at a local 13.7km race in Nkomazi with a time of 39:23. He has 22 Nkomazi parkruns under his belt and currently holds the record at Nkomazi 16:44. Clearly the sugarcane lined Nkomazi course has turned Albert into a superb athlete. Pregnancy and the first two years of your child's life play an important role in their future development. Discovery Vitality parents who are expecting a child can activate the Vitality Baby benefit and get exciting rewards to help get them started on their journey into parenthood. Visit Vitality Baby to find out more about the great spoils waiting for you. Not sure how to link your Discovery membership to your parkrun profile? Click on “Manage my profile” and then click on Discovery. You can also use this step-by-step guide to help you. 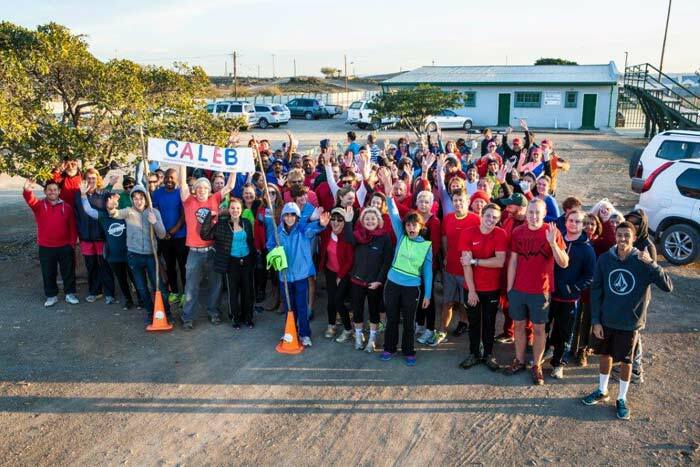 The Karoo town of Prince Albert dedicates parkrun to shark attack survivor Caleb Swanepoel. 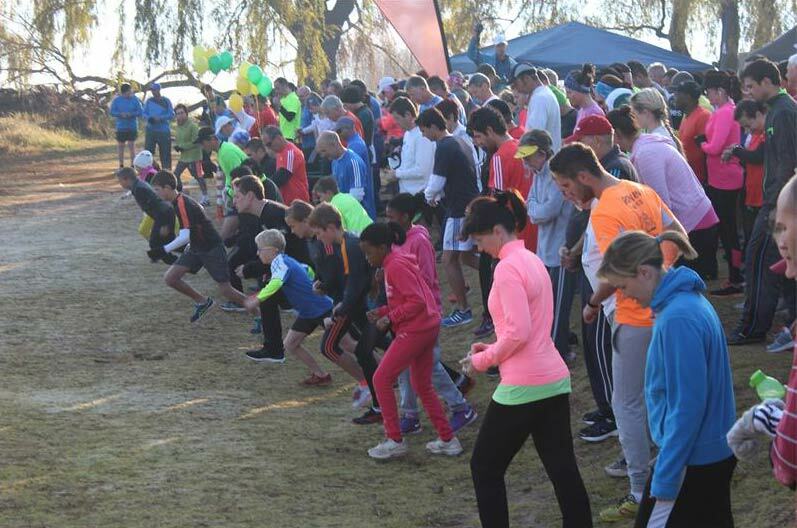 On Saturday, 4 July a group of 100 or so residents took part in the Prince Albert parkrun - many for the first time - in support of shark attack survivor Caleb Swanepoel, a much loved resident of our town. 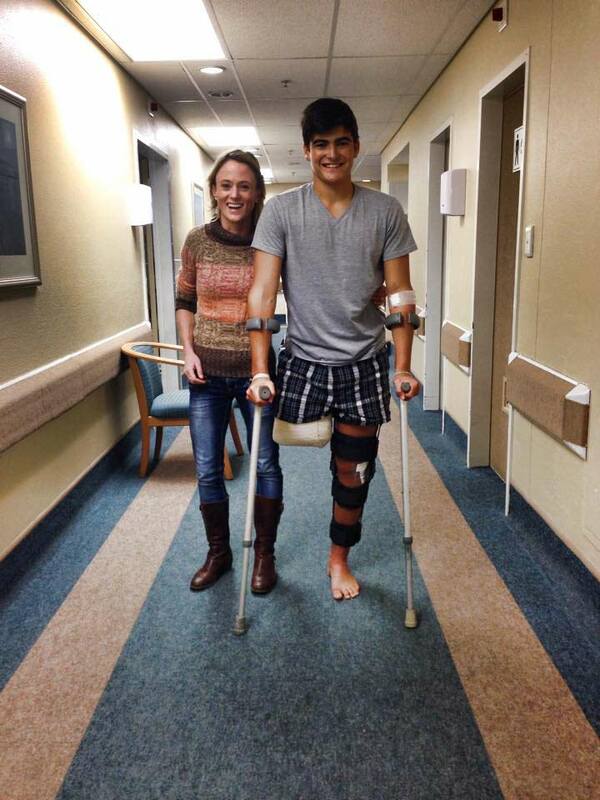 Caleb (20), who is a first year drama student at the University of Cape Town, lost his right leg and sustained lacerations to his left leg, in the attack by what is believed to be a great white shark on Saturday, 27 June while body surfing at Buffalo Bay (between Knysna and Sedgefield). According to the NSRI, Caleb’s brothers, Joshua and Alexander, rescued him from the surf and together with Dr Deirdre Richmond, who happened to be on the scene at the time, Caleb’s family, friends, fellow surfers and bystanders, all contributed to saving his life. Medical experts say it is a miracle that Caleb is alive and his survival is attributed to the fact that the main artery clotted and went into spasm immediately after the attack which minimised the bleeding. It was a chilly 4 degrees when we set out but the love and support for Caleb was incredibly heartwarming. Later reports and photos started coming in from others who had participated in parkruns in the Western Cape as a tribute to Caleb and then we heard that young Jacob Maeyer, another much loved young Prince Albert resident and leukemia patient who underwent a bone marrow transplant some months ago in Germany, had done his own 3.6km walk in support of Caleb in Berlin. And that's what makes small towns like ours so special: that tremendous spirit of community. It has been brought up many times since the start of parkrun here in South Africa - simple consideration towards fellow runners. We all have the opportunity to participate in such a simple event with participants from every walk of life and with every ability imaginable. Being considerate towards each other goes a long way to making the experience of parkrun even more amazing. I would like to highlight a few examples that could contribute to a better overall experience. The announcements at the beginning of parkrun are usually informative and serve as a safety briefing. By not listening to your event director and continuing to chat, you may very well miss an announcement regarding a hazard along your parkrun route. I have often made an announcement regarding the ‘one dog per runner’ rule, which, to a large extent is ignored. The only reason that we ask parkrunners to observe this rule, is to ensure that runners are not tripped and that owners have more control over their fury friends with all the other dogs and people around. Many parkrunners are unable to run the entire 5km course without at least stopping or walking. There is absolutely nothing wrong with this. However, if you do stop suddenly, please be thoughtful of those behind you. It is not easy to suddenly stop – think about when the car in front of you has no break lights, you have to slam on the breaks and sometimes you cannot stop in time to avoid driving into the person in front. Keeping left is a habit that we learn early on in life because of our SA road rules. It makes sense to cyclists who frequent the parks on a Saturday morning. I can just imagine their surprise when over 500 runners are charging towards them without any regard for the ‘keep left’ rule. On a number of occasions I have seen the faster front runners already on their way to the finish line after going past the half-way turn around point at parkrun, only to be slowed down by participants coming towards them, five abreast. Volunteers are the most important part of parkrun. Without volunteers, parkrun will cease to exist. Please be courteous to the volunteers at all times. They are doing their duty out of the kindness of their heart – yes you are a potential volunteer too. If something does not go right on the day, for example, a scanner is not working – please do not get irate and take charge of the equipment - rather take a deep breath and smile. All parkruns are 5km and a number of events have noticed participants ‘cutting short’ (yes… cheating!). It is only 5km. You are only cheating yourself and being inconsiderate to those who persevere and complete a parkrun. I am sure that many of these things are not intentional and by simply thinking about how our actions impact on those around us, we can contribute to an even better parkrun experience. On Saturday 20th June, the Ebotse event celebrated its 3rd birthday. Despite the cold morning the Ebotse faithful turned out in style. We were happy to welcome ‘Delta Dieter’ and the Roodepoort Raiders who brought along their finest to take on our course record holder Michael Pienaar, but were left in his dust. 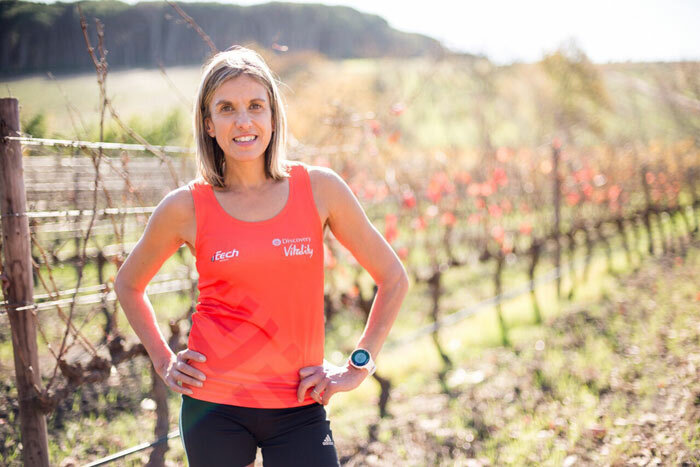 Also joining our celebration was Comrades and Two Oceans legend Frith Van Der Merwe, a regular participant at Ebotse, Frith holds the record in her age group and is an inspiration to our young runners. Birthdays mean presents and thanks to our regular sponsors adidas and the donations from TenBits wristband sales together with local prize donations from Emperor’s Palace we handed out spot prizes to the day’s winner Michael Pienaar, first lady home Sunel Bornman, juniors also took home ‘sweet’ rewards. This year’s points winners Sara Tanner-Tremaine and Jan Dries were also rewarded for the efforts. Ivete Caldeira who regularly provides a water table at Ebotse, went one better to keep out the chill with coffee, hot chocolate and cupcakes. Here’s to the next 12 months of new records and PB’s – to date at Ebotse, we have taken 31 348 hours to cover 235 900 kilometres !!! But none of this would be possible without our heroes VOLUNTEERS – a special thank you to the dedicated efforts of Gary and his team. What do you like about volunteering at parkrun:: Giving back my time for what the parkrun gives me, which is; a chance to practice for my races and its timed, knowing my PB helps me perform better the next time. A ‘feel good’ feeling knowing I am keeping my home parkrun alive. Why should others volunteering at parkrun? : To give others a chance to run too. Remember parkruns are run by volunteers, if no one volunteers there will be no parkrun. There is a lot that goes into making the parkrun work for that particular morning and it’s good to know there are people to count on to share responsibilities.